A special volume reflecting a diverse range of perspectives about the past, present, and potential future of the law of obligations. As the country's highest appellate court, the Supreme Court of Canada produces the nation's most authoritative jurisprudence. Since its initial publication in 1980, the Supreme Court Law Review offers a thorough analysis of key decisions by the Supreme Court, while critically examining the soundness of those decisions. 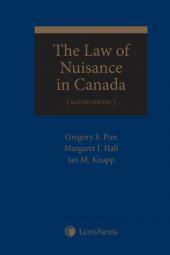 This highly regarded title remains one of the top annual publications in law libraries and institutions across Canada and worldwide. Now in its second series, the Supreme Court Law Review publishes 4-5 times a year. 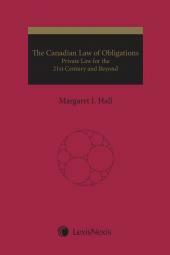 This collection includes 12 papers developed out of a conference held in 2017 ("The Canadian Law of Obligations: Innovations, Innovators and the Next 20 Years") together with a Foreword by The Honourable Justice Russell Brown. 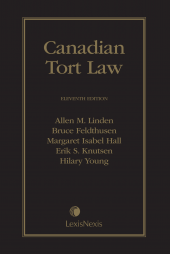 The papers included in this collection examine emerging issues, themes, and controversies within the Canadian Law of Obligations and provide diverse perspectives about a range of subjects including the limits and potential development of public authority liability, affirmative duties and omissions, the role of rights in private law, the protection of privacy, good faith, and causation in contract and tort. The collected papers revisit seminal cases together with recent legal developments, and explore the potential for new approaches to old problems. This volume is dedicated to the late Justice Allen Linden, Q.C.